Producers from Q10 offices around the U.S. met in Dallas, TX today to discuss emerging industry trends, market activity and share best practices. Pictured from Q10 offices around the US are Ryan Watson, Ray Driver, III, Joe Monteleone, Steve Bridges, Matt Shane, and Alan warren. Joe Monteleone with Q10 Triad Capital Advisors is recognized as Top Producer for 2014. Bob Stout, President and CEO of Q10 Capital LLC kicks off meeting with Q10 representatives. Matt Shane, Jim Wickenhauser, Steve Bridges, and Larry Peters share best practices with other Q10 members. Next week we will be meeting with lenders at the Mortgage Bankers Association’s (MBA) CREF15 convention. The outlook for available capital is positive and our discussions will be focused on lower interest rates and energy prices. According to a recent survey from the Mortgage Bankers Assoc., commercial lenders anticipate growth in 2015. Review the results from the survey below and see why this is a good time to discuss your transaction. 100% of the top firms expect originations to increase in 2015, with 68 percent expecting an increase of 5% or more. Almost three quarters (72%) expect their own firm’s originations to increase by 5% or more. 83% anticipate a “very strong” appetite among firms to make loans. 50% anticipate a “very strong” appetite among borrowers to take out loans. For more information login into MBA.org or view the full press release. Follow us at the Mortgage Banker’s Assoc. CREF15 Convention Feb. 1-3 on Twitter (#Q10KDH), Linked-In, Facebook and Google Plus to stay connected to people and happenings during Commercial Real Estate Finance Conference (CREF). Real-estate investment trusts were among the hottest stocks of the year, propelled to their biggest gains in nearly a decade by low interest rates and an improving economy. REITs, which own properties as diverse as office buildings, apartments and warehouses, are sensitive to changes in interest rates because many investors see them as an alternative to fixed-income investments like bonds. When interest rates fall, REITs look more attractive and vice versa. With most forecasters calling for the Federal Reserve to increase short-term rates from near-zero in 2015, history suggests REITs could be in for a tough year. But many analysts are predicting REIT shares will continue to perform well, even if interest rates rise. That is because shifts in interest rates alone don’t set the tone for REIT performance, and sometimes can be drowned out by other factors. In 2015, a stronger economy and increased mergers-and-acquisitions activity could overshadow rate rises, helping to power REIT returns, analysts predict. Q10 Capital has closed $1 billion in loans in third quarter. We have a vast array of lenders looking to finance properties in the Texas market before the end of 2014. Q10 KDH would appreciate the opportunity to represent you on your next transaction. Q10 Capital is a leader in commercial real estate capital solutions with over 130 finance professionals and 22 offices nationwide. We have the experience, resources and relationships to deliver superior results. Relationships are the core of our business to deliver the capital you need for you next loan. Our relationships with our borrowers and lenders are unsurpassed as they know we will meet their needs providing a hands-on approach. DID YOU KNOW THE 10-YEAR TREASURY RATE MAY BE INCREASING IN 2015? The Federal Reserve is considering raising interest rates in January 2015. Forecasts suggest a faster pace of increasing in 2015 as well. Two primary economic indicators will affect this decision — growth of the economy and improvement in the job market. Read the full story in Cushman Wakefield’s Weekly Economic Update. At Q10 Kinghorn, Driver, Hough & Co., we have lenders looking to close deals in 2014 for industrial, multi-family, office and retail properties. If you would like additional information about rates available, contact our office at 713-871-5800. The debt capital markets: What’s in store for the rest of 2014? Real estate markets can be forgiving of mistakes made. Do not make too many and you will succeed. And the rearview mirror in commercial real estate markets is filled with images like a Walking Dead episode: Carnage is everywhere thanks to the 2008-2010 downturn. Yet, we are entering the latter part of 2014, and where debt capital is concerned there is hope. There is life after the great recession … and commercial mortgage debt is a huge component of most CRE owners’ portfolios. Yet borrowers must think ahead and make good choices to position themselves for opportunities. It is advisable to start preparing maturing debt at least one year prior to the maturity date. Consider plans for the property — hold versus sell — because the choices of lenders will matter. If you want to sell the property within the next several years, encumbering the property with long-term fixed-rate debt that has prepayment protection could be a good idea if there is an assumption provision. Having a commercial mortgage loan with a low comparative interest rate to the market could be an advantage for a property’s eventual sale price. On the other hand, this could limit the buyer pool. Some buyers will want to place more or less cash in the property than the difference between the price and debt balance. Consider locking an interest rate now for a loan maturing during the next year on a forward basis. It will be worth it. Unless there is a desire and possibility of extending the loan with the current lender, make sure the property is ready to refinance. The property should be 85 percent to 90 percent leased to obtain new debt. Staggered tenant lease expirations are important, and the property should be in good condition. All deferred maintenance and capital needs should be addressed as you prepare for refinance. Reportedly, there are 11,000 CMBS loans maturing between now and 2017. This flood of refinances will present opportunities for investors who could inject equity into over-leveraged properties by partnering with the current property owner/borrower. Circumstances may cause CMBS lenders to discount mortgage loans to accommodate payoffs. It remains to be seen how many loans are ‘underwater’ and how many could be financed at existing loan terms with improved real estate market conditions and loan amortization. Lenders — Which ones are best for your properties? Commercial banks are competing heavily and offering excellent short-term interest rates for commercial and multi-family properties. Borrowers would be ill-advised to forget 2008-2010 when personal and corporate recourse were used by banks to achieve loan reductions and loan extensions with new loan terms. Therefore, it is important to finance as much debt as possible on a non-recourse basis. Though new construction in markets is more plentiful, banks are competing heavily to obtain these loans yielding more favorable loan terms and interest rates for borrowers. Many life insurance companies are in the market offering long-term (10 to 25 years) fixed interest rates. Often, non-recourse debt at 70 percent to 75 percent loan-to-value ratio is available by these lenders. Interest rates today can be as low as 3.50 percent for five-year terms to 4.50 percent for 20-year fixed. Life companies are actively lending on all property types including multi-family, retail, industrial and office as well as hotel and self-storage. These lenders tend to lend more conservatively on office properties because of their continued concern over re-leasing costs. Second-tier geographic markets are more in favor with these lenders. Some life company lenders will use partial or full recourse to overcome other risks associated with properties. Corporate bond yields have declined, making commercial mortgage lending investments very attractive at life companies. These lenders are back post-crash with the CMBS 2.0 lending format. There are an estimated 35 CMBS/conduit lenders in the market and it is unlikely all meet their lending goals this year. Comparing year-over-year results through May of 2014, conduit lending is down by about $14.5 billion. 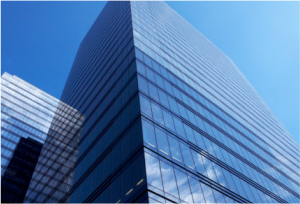 CMBS interest rates are very close to life company levels, yet comparative leverage with CMBS lenders is higher on office, mixed-use and hotel properties. Expect new loan requirements by CMBS lenders to include tenant finish and leasing commission reserves and a ‘cash-flow sweep’ trigger based upon property income thresholds. While there has been an edict from on high at Freddie Mac to originate 10 percent less in multi-family volume, there is little evidence that Freddie has retrenched. Would life insurance companies and banks be able to fill the void if Freddie and Fannie originated fewer loans on conventional properties and more loans on properties such as older multi-family, affordable housing and senior living facilities? The answer is not certain. These government-owned agencies offer 80 percent loan-to-value (compared to 75 percent LTV offered by other lenders) and pricing up to 20 basis points more favorable than private lenders. Reform is needed. Fannie Mae in particular plays a role in financing older multi-family and affordable housing properties, in addition to properties in secondary locations. Most crystal balls are cloudy, yet the general consensus among economists is that short rates will continue to be low throughout this year and at least half of 2015. Long-rates however are driven by other factors, such as inflation and the stock market. Who really knows where long rates will go? The fact is right now they are low. And borrowers can take low interest rates for granted as though this low rate environment will continue indefinitely or they can obtain excellent interest rates now before long interest rates rise. Many borrowers are taking advantage of floating-rate debt with commercial banks because LIBOR rates are so low. Borrowers must guarantee the loans in most cases, a clear compromise. Commercial banks, while still conservative in underwriting, are attempting to keep loans outstanding on their books by offering interest-rate swaps and mini-perms to borrowers as a method of rate lock. All in all, it’s a great time again to be a borrower, with low interest rates, an active and competitive lending market and more aggressive underwriting with all lenders. As we have learned though, cash is king; keep it handy. You can use it for your portfolio and to achieve opportunities that may exist with new properties. This article originally appeared on the REJBlog. Q10 Capital is the first national firm to be owned by leading independent mortgage bankers across the nation. It consists of 16 member companies with 23 offices nationwide and over 135 highly experienced finance professionals. Q10 Kinghorn, Driver, Hough & Co. ownership position in Q10 Capital has propelled the firm into a true national presence, with the capability to handle the most complex, multi-state, multi-property transactions. Q10 Capital now services a loan portfolio in excess of $14 billion, and is one of the nation’s largest intermediaries for the placement of commercial real estate capital. Wall Street is running into resistance unloading commercial-mortgage backed securities. JPMorgan Chase & Co. (JPM) and Barclays Plc (BARC) sweetened terms on a piece of a $1.2 billion bond deal last week to attract buyers, whileDeutsche Bank AG (DBK) and Cantor Fitzgerald LP increased the yield they’re offering on securities today, according to people with knowledge of the matter. Today we’re looking at the most essential of economic drivers–employment–and considering how employment growth and post-recession recovery impact CRE markets’ activity. From the ULI/PwC Emerging Trends in Real Estate 2014, and based on data from the U.S. Bureau of Labor Statistics,Texas continues to impress economically with 4 out of 10 Top U.S. Real Estate Markets for Employment Recovery. REDNews has the rest of the scoop.